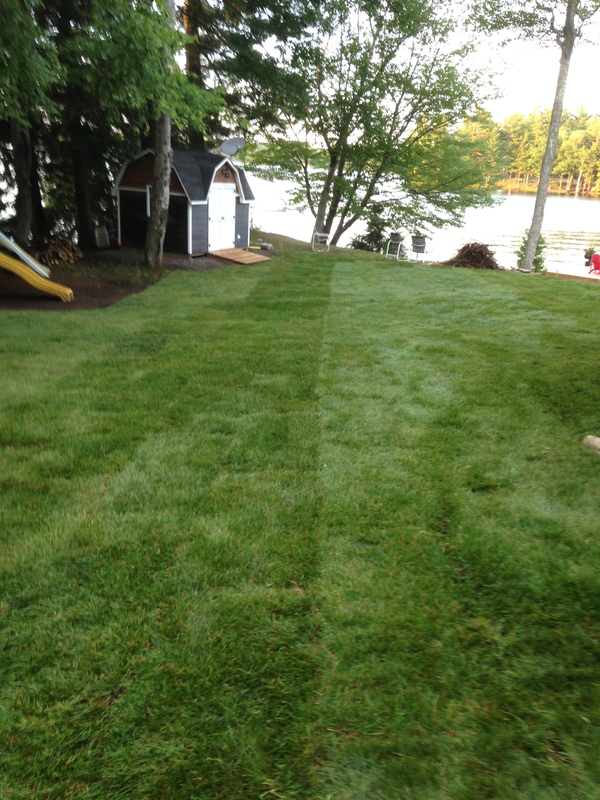 Grasscutting, Sod, Fertilizing, Aerating, Weed Control & Lawn Restoration Programs. A healthy lawn has many benefits beyond just great curb appeal. Turf acts as a barrier that deflectes chemicals from entering the soil profile and ground waters. 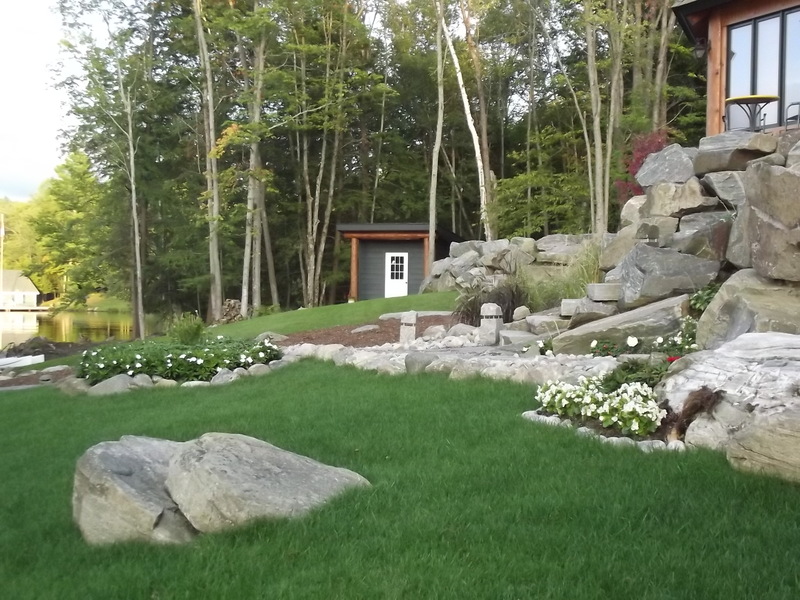 Turf is also a efficient and inexpensive way to prevent erosion, turf promotes water percolation rather than runoff. With proper maintenance you can avoid 90% of lawn and weed problems, healthy thick grass is your best defense against weeds. The type of fertilizer you use and the timing of the application are important. Compost or slow-release fertilizers are preferable, and fertilizing in early fall promotes vigorous lawn growth the following spring. Compacted soil makes it difficult for water and oxygen to get to the roots. Aeration is the process of removing small plugs of soil from the turf. Core Aeration of the lawn also allows water to filter more consistently through th soil, reducing thatch problems. Aerating of the lawn is best done spring ad fall and before top-dressing and fertilizing. Late summer or early fall, top-dress your lawn with a thin layer of compost or good garden soil, and add grass seed appropriate to your site conditions. 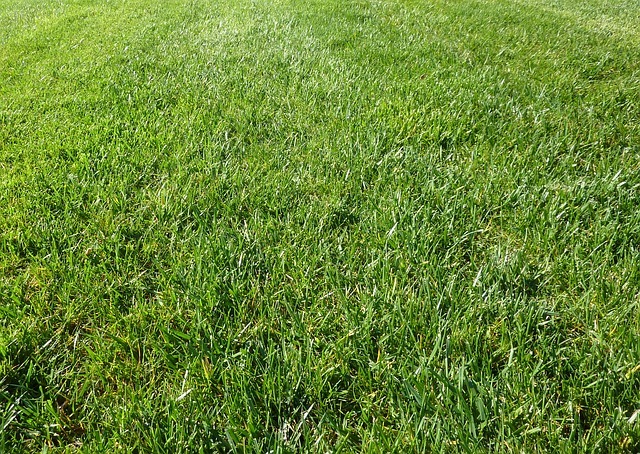 This will regenerate your lawn and take care of any thinned-out areas. Plant a variety of grass species that can tolerate a range of growing conditions, such as sunny and shady. Your lawn will then be less susceptible to pest damage. Where conditions are not suitable for a traditional lawn, try growing plants more adapted to the area. For example, periwinkle and lily of the valley are good ground covers for shaded sites, while creeping juniper and wild thyme are better for sunny dry sites.